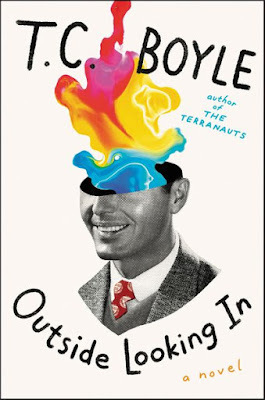 Every year, I post a list of books I read in the last year on my personal blog; I'm posting it here because it includes the Robert Anton Wilson books I read, and offers context by illustrating what other kinds of books I read (a varied lot, to be sure). For the purposes of this blog, the key book was RAW's Coincidance, one of the few Wilson books I had never read before. I had so much to say after I read that book, I decided to start a quick blog on Blogger and record my thoughts. The project kind of took off. I've put an asterisk next to four new books I particularly recommend. I discuss three of them here. 1. The Killswitch Review, Steven-Eliot Altman and Diane Dekelb-Rittenhouse. 2. The Long River Home, Larry Smith. 3. The Revolution Business, Charles Stross. 4. This Mortal Mountain (collected stories Vol. 3), Roger Zelazny. 5. Exploring Classical Music, Robert Finn. 6. Game Change, John Heileman, Mark Halperin. 7. The Prisoner, Carlos Cortes. 8. Liberating Atlantis, Harry Turtledove. 9. 428 A.D., Giusto Traina. 10. Kitchen Chinese, Ann Mah. 11. Hidden Empire, Orson Scott Card. 12. The Crusades, Thomas Asbridge. 13. Unchecked and Unbalanced, Arnold Kling. 14. Gimme Rewrite, Sweetheart, John H. Tidyman. 15. While I'm Falling, Laura Moriarty (audiobook). 16. Heretics, S. Andrew Swann. 17. Coincidance, Robert Anton Wilson. 18. Up Jim River, Michael Flynn. 19. Schroedinger's Cat III: The Homing Pigeons, Robert Anton Wilson. 21. Little Chapel on the River, Gwendolyn Bounds. 22. Discover Your Inner Economist, Tyler Cowen. 23. A Mighty Fortress, David Weber (audiobook). 24. The Unincorporated War, Dani and Eyran Kollin. 25. 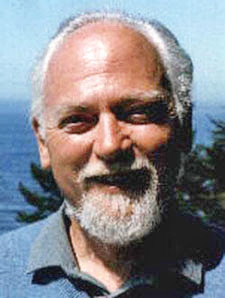 An Insider's Guide to Robert Anton Wilson, Eric Wagner. 26. The Universe Next Door (Schroedinger's Cat I), Robert Anton Wilson. 27. Ancient Rome, Patricia Southern. 29. Schroedinger's Cat II: The Trick Top Hat, Robert Anton Wilson. 30. Prometheus Rising, Robert Anton Wilson. 31. The Inheritance of Rome, Chris Wickham. 32. Countdown to Valkyrie, Nigel Jones. 33. The Earth Will Shake, Robert Anton Wilson. 34. Ceres, L. Neil Smith. 35. Kecksies and Other Twilight Tales, Marjorie Bowen. 36. The Passage, Justin Cronin (audiobook). 37. Chasing Oliver Hazard Perry, Craig J. Heimbuch. 38. Fatal Error, F. Paul Wilson. 39. Chaos and Beyond, Robert Anton Wilson.